This post is the second in our series interviewing members of our GoustoTech team. In this post we meet Catherine Burrows who has recently moved from our Analytics team to become a Data Scientist in our Data Science (Artichokes) team. 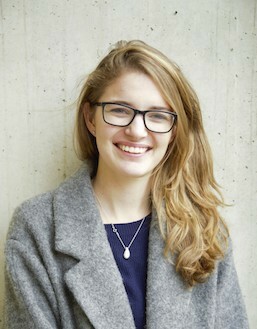 Hi, I’m Catherine and I am a Data Scientist at Gousto. We currently have a team of 5 data scientists and it’s our job to develop and maintain key products that make Gousto unique as a company, from the recipe recommendation engine, to the warehouse routing algorithm. I’ve been at Gousto for 18 months, when I joined we were selling around 10K boxes a week. I studied Physics at Imperial College. When I completed my master’s degree I decided that I wanted to explore the world of work rather than academia. I joined a small ed-tech start-up of ~10 people, which was challenging, but enjoyable. However, I soon realised that although I loved the start-up culture, I wanted the company to be bigger, so I could work with bigger datasets and more complex problems. The people and the data. I knew one person already working here who loved the culture, but the big thing for me was the interview. I found it challenging (in a good way), but also really friendly. I knew I would end up being good friends with my interviewers, and that turned out to be true. I also was very excited and interested by the type of problems they wanted to solve. When I first joined Gousto I was working as a Data Analyst, not as a Data Scientist. At Gousto, the analysts sit in the Finance team, not in Tech, so although there are many exciting things I worked on, for this post I’ll focus on the Data Science. The Data Science team is more product focused and therefore one of the challenges I’ve had since joining the team is having to write production-ready code. So far, I’ve enjoyed having a direct impact on the forecasting model and the recommendation system. For the forecasting model I was able to bring some insights from having worked closely with the acquisition team. In both projects the best part is measuring the improvement you’ve made. Developing my skills more and more. I can’t quantify how much Gousto has taught me, from coding skills to softer skills. In the Data Science team (and maybe what sets us apart from other DS teams), we produce products for other teams at Gousto, and for the customer. I am looking forward to the addition of new products we are planning, for example a churn prediction algorithm, but also continuing to improve the products we already provide. There are some big challenges for us to overcome, but if we manage them, it will feel really good. Having very limited experience in other companies, I can’t say with any authority how Gousto’s culture is particularly different. All I can say is I’ve made real friends here and had tons of fun. I’ve also felt supported career-wise. I don’t think I would have had this kind of personal development anywhere else. If you are someone who loves having the opportunity to directly impact the company you work for and you are able to constantly grow and adapt, then Gousto is for you. It’s a challenge, but (I think) worth the work. Originally published at techbrunch.gousto.co.uk on April 20, 2018.